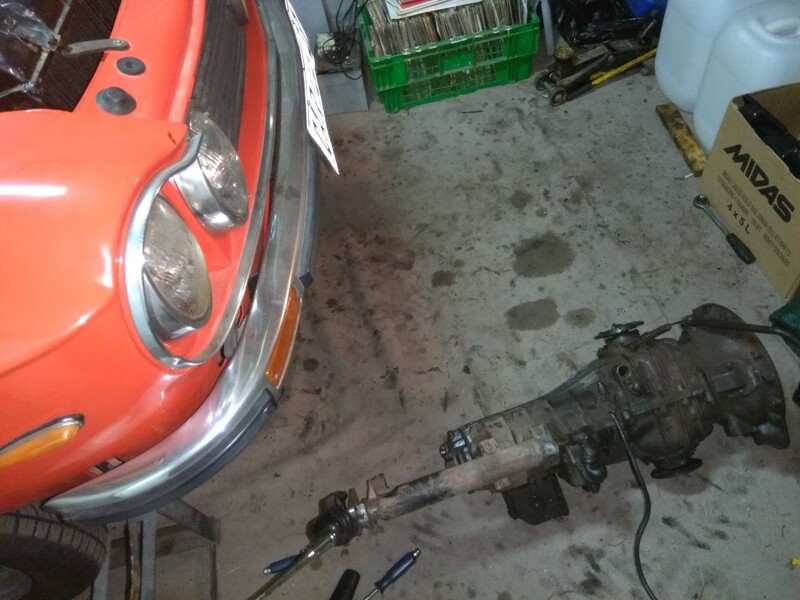 Rather than hog the other thread anymore (racer has been helping me ) I would rather create a new one with questions regarding my gearbox rebuild. I got a cheap second gearbox with unknown history. My plan is to rebuild it and check current "new" gearbox or at the very least use parts from both to make up one good one. Before dismantling the new gearbox I would like to get feeling of basic pinion and crown backlash. dial indicator stand is bolted to one of the bell housing bolts so it is sturdy. currently tricky to see the pinion engraving , but if i am measuring correctly the backlash is 0.9mm which seems way excessive? Gears and syncros actually looks good, syncros on 1 ,2 and 3 is worn further down than 4 and 5, but is still far above the minimum 0.5mm. 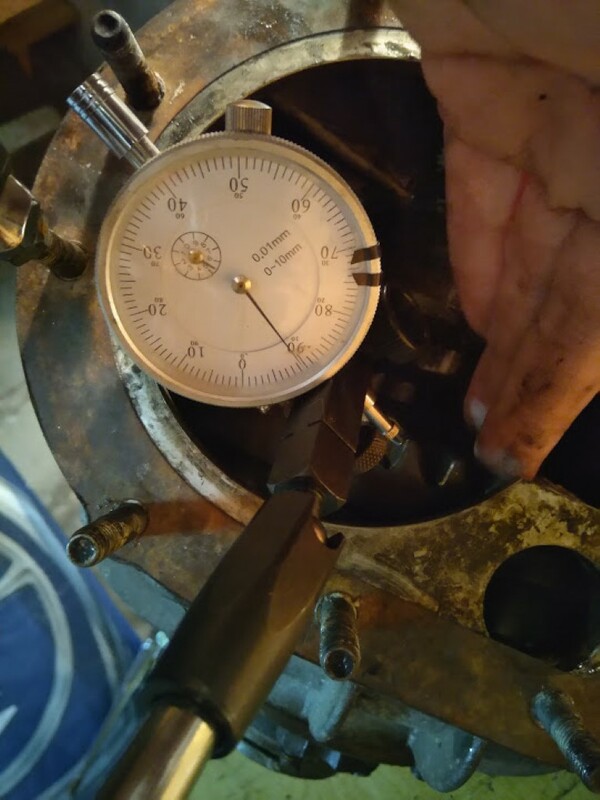 measurements in between gears as per DT manual also good. plan is to dissasemble further and get case and belhousing properly cleaned at engineering place. 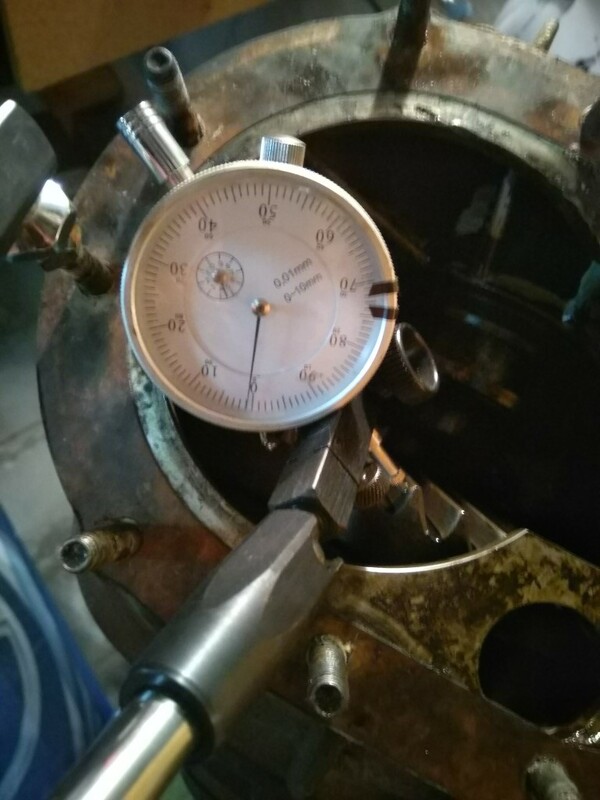 will know more about bearing and gear condition when disassembling. Check crown wheel and pinion very carefully; if you had a mm play, either the gears are very badly worn or something else is wrong. If you have the parts, I would advise to change(keep) the early S1 type inner CVs as they are much stronger and less prone to leaking. You can change the crown wheel on the diff to keep the gears paired. I'm planning to keep the old cv's , boots are all in good condition ,and i can't feel any play worth worrying about. Enjoy. 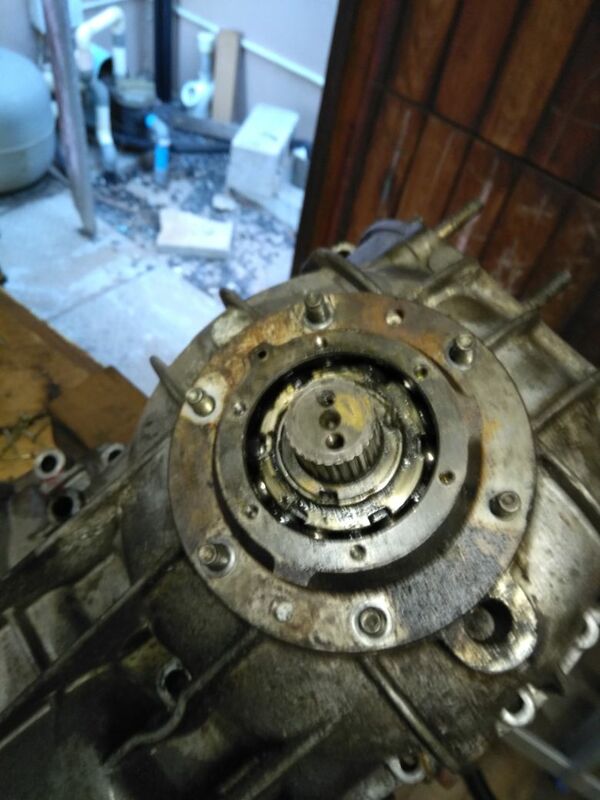 Overhauling a gearbox is equivalent to a Mensa test... Take your time. And you will need to make some spanners to undo ring nuts of various size. And beware of balls/springs jumping about once you have loosened these nuts. the gearbox coming out of the car has a good 0.25mm backlash measurement so this seems much more positive. is this thread normal or reversed? loosening the one on the donor gearbox first as practice with a handmade tool but could not get it loose. Normal threads I think but v tight. Some have to be drilled. You may get away with a smartly aim drift and lump hammer due to the fine threads. Stand by for a new nut! Normal threads I think but v tight. The 4 speed is left hand thread. That is why I am now wondering. but it's on the right side of the car.... That's an aberration on normal protocol & a very nasty trick." would love to know for certain before I start really working on it. Don't use the hammer and chissel method! If your tool fits nicely, a long enough lever will do the trick. And you won't need a new nut! Clean the end of the thread and try to determine which way the thread goes. I can't remember it being left hand thread but might be wrong. I have made a tool, it was a bit late in the evening when my tool was completed and i leaned into it fairly heavy when I gave up for another day. Can't see any thread. don't want to chisel on the nut to try and see thread.